Finding an affordable dental plan if you live in Texas is an important expense. The main reason is because of the costs of visiting the dentist for regular check ups and emergency visits has been rising steadily and there’s no relief in sight. Because of this, very few individuals and families are able to afford the high costs. The market for dental care in Texas is becoming more competitive. This means that those looking for a dental plan will have options to choose from. The biggest question that you need to ask yourself right now is “do I need to see a dentist right away because of a problem tooth or do I just need to get a plan in order to make sure that I’m covered in the event that something does happen later? The reason for this is because dental insurance will not pay for any type of pre-existing condition. This means that if you already have caries (cavities) that need to be filled, a root canal that needs to be taken care of, dentures or whatever it may be, you’ll have to pay for that without assistance from your insurance company. This is fairly standard with any type of insurance because the term “insurance” means “to provide protection in the event of something unforeseen”, not something that has already happened. If you are already in pain and need to see a dentist right away then your best bet is to join a discount dental plan. Discount plans are not members of the insurance family and nothing is payed to the dentist on your behalf. All you need to do is find a dentist locally (there are thousands in the state of Texas) that accept a discount card and then join the plan. These are very reasonable for both individuals and families and are generally less expensive that insurance. 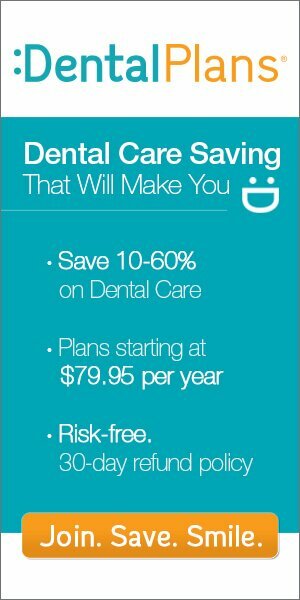 Most discount dental plans will save you from 10% to as much as 60% on routine care. After you’ve received your membership information all you need to do is make an appointment and determine what needs to be done. Your dentist will let you know exactly what work needs to be done and then you can decide how much you can afford to pay at that time. You simply pay the discounted amount at the time of your visit. You can find excellent discount dental plans on the internet and that is the best place to start your search for a new dental plan in Texas. Normally, all you need to do is enter your zip code to find a participating dentist in your area. You can find over 30 popular discount plans by visiting Here as well!